The Library Media Center at Archbishop Carroll High School is comprised of the Cardinal O’Boyle Library and the McGowan Learning Center. 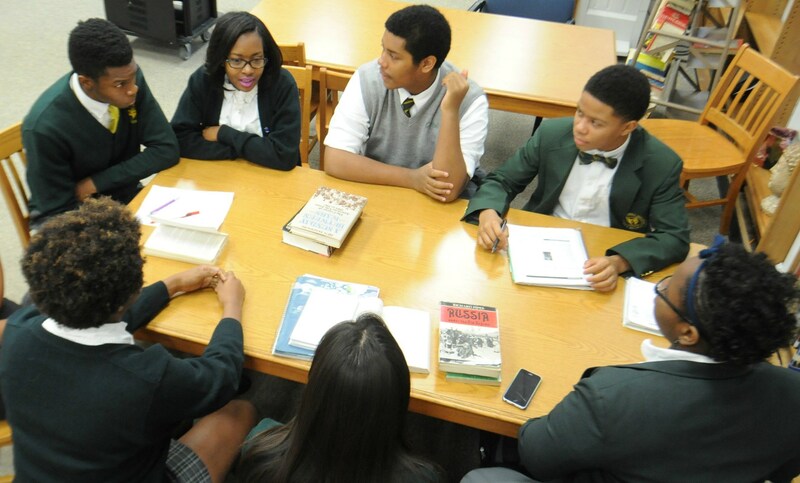 The Mission of the ACHS LMC is to promote the Charism and Mission of ACHS through guidance, assistance, and promotion of both standard and innovative methods of research and learning, and to establish the foundation for a lifelong love of reading in both students and faculty. The ACHS LMC will promote community learning through providing both space and access in an open, welcoming environment. The LMC will facilitate the ACHS mission of producing college-ready students, guiding them towards being information and technology aware and ready. New and returning students, as well as faculty, staff, and administration, will be aware of all avenues in which they may use the LMC and its resources for both research and pleasure.